The further confessions of a YA Librarian from Benton Harbor, Michigan. 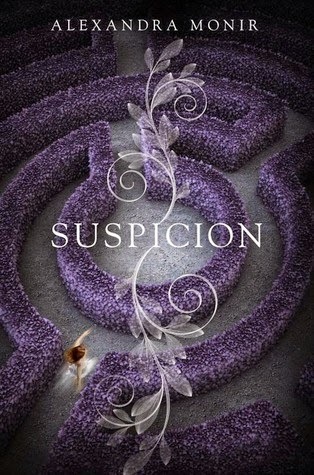 This is the fourth book in the Harper Connelly series. I accidentally started reading this series with book 3, but it read well enough and the premise was good so I was hooked. After that book, I had to read about how Harper's story ended, so I checked this one out right away. Unfortunately, her story ends on kind of a boring note. The premise of the series is this: Harper Connelly was struck by lightning when she was a teenager, and now she can find dead bodies and determine how the person died. Harper travels with her step-brother Tolliver making money off of her talent and helping people solve mysteries of lost loved ones. Harper is also hoping to solve her own mystery...the mystery of what happened to her older sister Cameron who went missing 8 years ago. In this book Harper is called in by the wealthy Joyce family to help determine if their grandfather died of natural causes, or if something else was afoul. 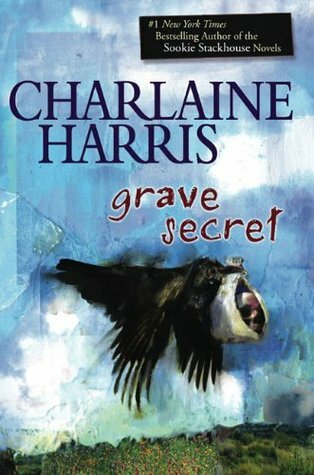 After going to the graveyard, Harper concludes that Rich Joyce (the grandfather) was scared to death by someone, and that his care-giver died due to complications of child birth rather than the general infection that the family thinks killed her. Then someone starts to look like they are targeting Harper. Her brother gets shot, and more people around her stop dying. Can Harper find the killer before she gets killed? I've read all of Harris's Sookie Stackhouse books, and now I've read through some of this series, I am hoping the next series I read from her has a better denouncement than this one. I got a free product of the Beauty-Full Volume set from Tresemme through the Influenster Vox Box program. I was not paid in any way, shape, or form for this review. I already do reverse washing with my hair. I put on my conditioner on the ends and leave that on, then shampoo the top later in the shower. I've been doing this for awhile, and it really works well for my hair, so I was happy to try the Tresseme products and the new system they have developed. The products smell lovely, and they made my hair super soft, but unfortunately they also left it very dull and lifeless. I conditioned with the conditioner like the instructions said, then I used the shampoo. I used it a couple of times, thinking it was just my hair freaking out, but it just didn't ever seem to do anything to add volume. I really wish the product worked better, but I appreciate being able to try it. At 10 years old Imogen Rockford lost her parents in a fire at their family home in England. She's spent the 7 years since then trying to put that terrible night out of her mind and get on with her life with her adoptive family in New York City. Then, information is brought forth that makes Imogen return to her family home, and to the memories she left behind there. I guess this book is supposed to be somewhat of a mystery, and I can't describe it much more than I have without giving too much away. I liked the tone of the novel, and the idea behind it, but I think in the end I was left a little underwhelmed. Maybe I am getting old, maybe I am just sick of girls who can't hold themselves together around the boy who is obviously "the one". Who knows, but honestly, Imogen's obsession with her childhood friend Sebastian did start to get on my nerves. We spent more time with her mooning over him than on the mystery and history surrounding her family and the Rockford Manner (which would have been way more interesting). Jennifer Holm is a prolific author of the Babymouse series and multiple other books for middle graders. This is the first novel of hers that I've read, and I will say it was a bit different than I thought it would be. This is eleven year old Ellie's coming of age story. Ellie's best friend and she are drifting apart, and to make matters even weirder her grandfather has found a fountain of youth and turned himself into a teenager. Now, Ellie's grandpa Melvin is living with her and her mom, she's having to make new friends, and (with prompting from her newly young grandfather) she's learning that she loves science. That is not the best description of the book, but it was the best I could do. 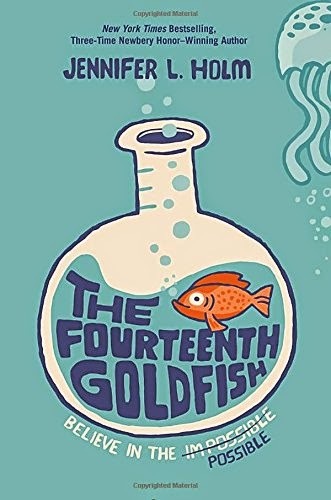 While this book does have a science theme, it is really a story about growing up and about loving your family. It's also a story about taking chances and changing your life in the ways that you want it changed. I read through the book quickly enough, and I enjoyed the characters, but it was a little bland for me. I finished the book a few days ago and I had to look Ellie's name up for this review because I'd forgotten it already. I think that fans of middle grade books, and those that already read Jennifer L. Holm's books will enjoy this thoughtful yet light novel. Isla (pronounced Eye-La like Island) attends the School of America in Paris and has had a hopeless crush on Josh since their freshmen year. The two meet up one summer while home in NYC, and it is the start of a whirlwind romance that consumes them both during their senior year of school. This is the final companion book in the set that includes Anna & the French Kiss and Lola & the Boy Next Door. Characters from both books make cameos in this book as well. Josh is a secondary character in Anna & the French Kiss, but here he gets a (sort of) starring role. I loved Anna and Lola; unfortunately I did not love Isla. In some ways she might be the character I relate to the most, but her complete and total obsession with Josh made the story seem kind of flat. At times this book almost felt like it was Fatal Attraction instead of the You've Got Mail vibe I've gotten from Perkin's other books. I missed the humor, I missed the secondary characters and the setting all playing a more important part of the story. Instead I was trapped in Isla's head where the only thing I could see or feel was her desperate obsession with Josh. 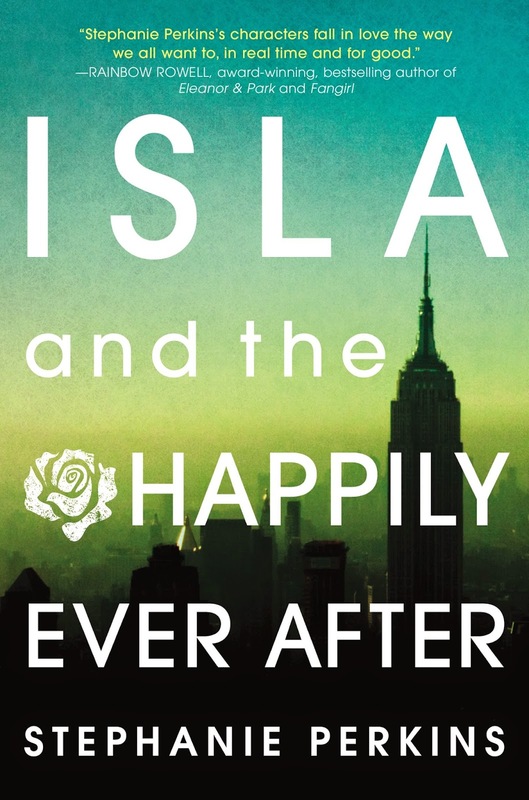 Eventually Isla did grow on me, once she and Josh physically had to be separated and she had to function on her own, and I did think her best friend (Kurt) was a sweet character, but all in all this wasn't my favorite of Perkin's novels. I hope she continues to write, and I look forward to seeing what else she will come up with, but I will miss the characters I've grown to love so much. Maybe one day down the road she will revisit them. Now, if you are a follower of this blog you probably know already that I love all things spooky and horror-like. So, this book had me sold based on the cover alone. I mean who doesn't love a creepy carousel picture with horror writing over it? That cover...I just love it. The book opens up with the story of Ivy, a girl whose name and life has been changed to protect her from the serial killer who killed her parents and will most likely one day come back for her. Ivy is one of the main characters of the story, but she is not the only focus. Instead, this is an ensemble book about teens who enter a Justin Blake's (a famous horror movie maker) contest to share their worst nightmare, and win a chance to meet Blake and see his newest movie. Each teen enters for a different reason...and once the winners are brought together things start to go horribly wrong. This book is the current YA lit form of an 80's teen slasher flick. 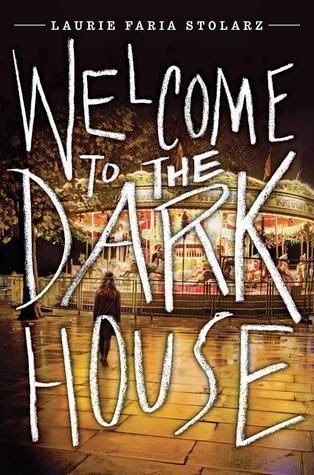 The characters are relatively inter-changeable (it took me about 2/3 of the book before I could really figure out who was narrating each chapter), and there isn't much gore, but there is lots of teen hormones and fun scares. The nightmares that each teen encounters are interesting, and the Nightmare Elf (the star of Justin Blake's horror movies) reminds me of a mix of characters from Puppet Master, Leprechaun, and Dolls. The chills are there, and I really had fun with the book...until the end. I was a bit disappointed with how the book closed, and I am confused because it seems like there is going to be a sequel since there was no real resolution. That said I think that the fun of the rest of the book more than makes up for the mediocre ending. I reviewed a digital ARC copy of this book from Netgalley. I received no compensation for my review. Growing up I thought I would be a teacher, an artist, or maybe an engineer like my father. I had friends who were writers, but I never figured that as a career for me. I love books, and have loved reading since I was a child, but I was never big on writing stories of my own. At 34, I still don't think I will have a career as an author, but I do believe I have become a writer. I have been published in VOYA magazine and in an academic journal. I am a featured writer on Public Libraries Online. And almost anytime I get a chance to write for something I jump at it. I love to write papers for class, and I guess I just really do enjoy writing. Hopefully I will continue to have opportunities to be published, and I can continue to write online as well. My husband knows for sure that I have a lot to say, so writing gives me a way to keep on saying it without talking his ear off lol. Another title that I can claim, that I'd have never thought of when I was younger, is runner. I am not the fastest runner, nor the most consistent, but I am a runner. My New Year's resolution was to run a 5k this year (without stopping), and I already accomplished that back in April, now I am focusing on running faster. My next goal is to do a 5k at a pace of a 14 minute mile (which is really slow), but once I hit that goal I can move to another one. Every time I get down on myself for being slow, I remember that there was a time a few years ago when I couldn't have even run a mile outside, let alone 3+ miles. I just need to keep my head down and keep going. I am the Head of Teen Services at the Benton Harbor Public Library in Benton Harbor, MI. I love to read, bike ride, take photographs, and watch way too many movies.